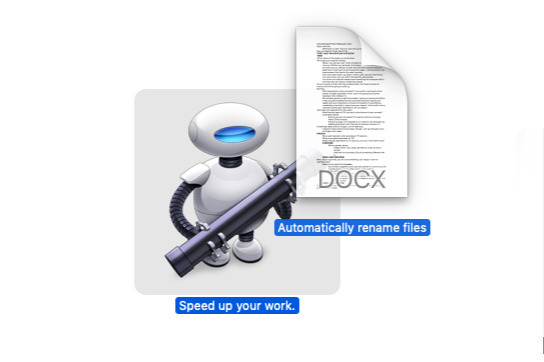 There's not a lot to this Automator action. The only things you can adjust are how Automator names these thumbnail versions of the image —you don't want it overwriting the full-size original so it automatically saves back with a new name —and the size. Even the size isn't a comprehensive choice. You can't enter any value you like, you can solely pick from 72, 96 or 128 pixels wide. It's not as if it's arduous having to open System Preferences, choose Desktop & Screen Saver and then schlep through the options —but it is a bit of a pain. Enough so that it's handier to just have an application that you can drag any image onto and know that it your Mac will immediately display it as your wallpaper. You can say that you want files to keep their existing name but have Acme at the end plus a year. If you then save this action, you can have an application on your desktop that renames any file you like. Drag one, drag all, it makes no difference —except to their filename. The more you dig into all of this, the more options and choices you get. 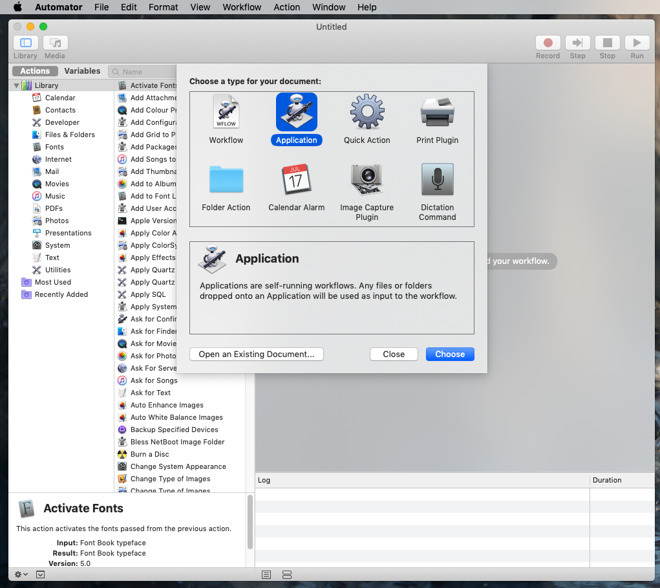 And Automator is a very powerful tool —but we're not just showing you the one-step option because it's simple. 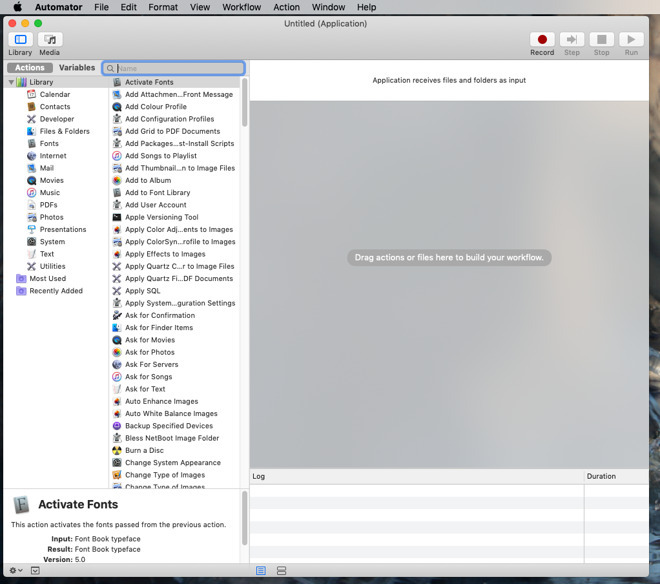 To do work with files and folders, consider Automator an on-ramp to Hazel. This is a third-party app which overall is actually easier to use than Automator and is geometrically more powerful. We do have Hazel settings that rename files for us, but they automatically rename them to include the name of the folder the file was in —and then archive them off somewhere else.